As Kiwis, ingenuity runs in our blood, from trusty number eight wire to the world-leading technology we’re creating today. Inspiring Kiwis such as Rod Drury and Sam Morgan have shown us it’s possible to create products and platforms that make our lives easier, while also creating jobs and building sustainable businesses. Last year, leading hi-tech companies in New Zealand achieved a combined annual revenue of $10 billion and now as New Zealand’s third biggest export, it’s clear technology has a big role to play within our community and economy. Here’s a look at how we can keep inspiring the next generation of tech leaders to keep growing New Zealand success stories. Want to spark more innovation from your employees or within the wider tech community? The first step is to remove any roadblocks standing between the status quo and new ideas. At an organisational level, it can be as simple as getting out of your employees’ way. When Google introduced its now-famous policy, encouraging employees to spend 20 per cent of their time on side projects, pretty amazing things happened. Some of the company’s most successful products, including gmail and AdSense, were created. Many other tech leaders, including Apple and LinkedIn, have introduced similar policies since. When Google introduced its now-famous policy, encouraging employees to spend 20 percent of their time on side projects, pretty amazing things happened. Xero’s API team works in three-week sprints and dedicates every third Friday to employee research and development (R&D). The team is encouraged to work on new ideas and skills, and can create anything. This approach has really impacted how the team works – in one of our latest projects, we’re using a whole new API framework, which a team member learnt about on their R&D day. While smaller startups may not have the resources for employees to dedicate entire days to side projects or R&D days, finding opportunities to provide teams with room for creative freedom can have exponential benefits. As well as sparking new ideas, our R&D days empower our teams and give them much-needed downtime. Industry burnout, or the dreaded ‘death march’ as it’s known, can be common amongst developers. Having some time out to work on whatever they choose not only helps boost productivity on other days, but also keeps the team happier. It’s also possible for organisations to remove barriers to innovation beyond their own four walls. Companies like Zapier, Salesforce and Xero have built developer ecosystems that remove roadblocks to innovation for entire communities. By providing access to wordclass APIs, and documentation, developers in these ecosystems can hit the ground running and get straight to the fun part – building new solutions to revolutionise people’s lives. And because these ecosystems already have established channels to market, new innovations are able to reach the people they will benefit most, faster. 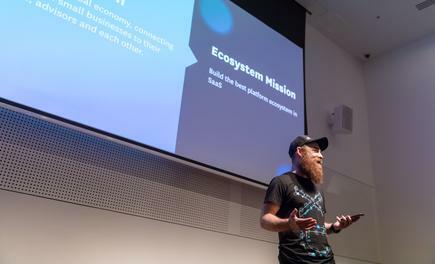 Last year one of our teams created an app that allowed a vision-impaired accountant to use Xero with their voice, using Amazon Alexa. Inspiration and knowledge are also important ingredients for innovation. The industry only stands to benefit from mentoring programs, which are becoming more common. Tapping into the vast knowledge of senior or more experienced colleagues, whether in a formal or informal manner, provides invaluable development that benefits the individual and by extension, the team as a whole. The growing number of business incubators and fintech accelerators are also a great way to connect people and enable innovation to thrive in both an individual and team environment. Sometimes, all that is needed is a little bit of help to turn those inspiration ideas into success stories. Events are another great way organisations can introduce learning opportunities, from bringing in external experts through to simple brown bag lunch meetups where team members can present on their interests and ideas. At Xero we use forums like communities of practice and Lean Coffee to unite our team members - giving them the opportunity to learn from each other and strive to keep improving. The above initiatives all have another key ingredient for next-level innovation in common – collaboration. When different ideas, points of view and experiences come together, innovations are created that no one individual could have come up with on their own. Teams should always be looking for ways to increase collaboration, both within the organisation and wider ecosystem because it’s extremely powerful. One way we encourage collaboration within our community is through our developer roadshow event series, XD18 in partnership with Amazon Web Services. Attendees can connect, while getting advice and practical tips on building new products and growing successful businesses. A key announcement at our roadshows is our annual developer challenge, XDHax. The goal is for participants to get as innovative as they can and create new apps to benefit small businesses. When you remove limits on creativity, it’s amazing to see the life-changing innovations that teams can build together. 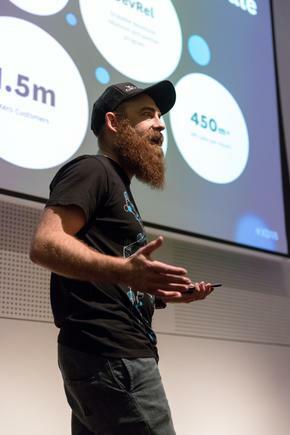 Last year as part of the challenge one of our teams created an app that allowed a vision-impaired accountant to use Xero with their voice, using Amazon Alexa. This type of innovation is a powerful way to make technology more accessible, while helping small businesses operate. It’s seeing innovation which truly changes people’s lives that makes being in tech today so exciting. Together, with collaboration, community and removing roadblocks, we can keep building a better future for small businesses and consumers around the world.